Announcing the Place of the Year 2012 Longlist: Vote! As the year winds down, it’s time to take a look back. 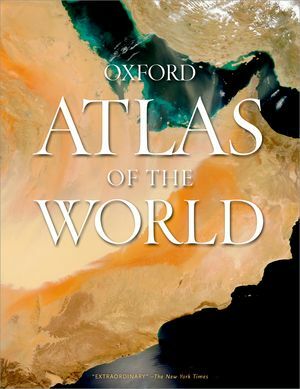 Alongside the publication of the 19th edition of The Atlas of the World, Oxford University Press will be highlighting the places that have inspired, shaped, and challenged history in 2012. We’re also doing things differently for Place of the Year (POTY) in 2012. In addition to our regular panel of geographers and experts, we’re opening up the choice to the public. Use the voting buttons below to vote for the place you feel deserves the glory. If we’ve forgotten the location that has inspired or provoked this year, leave us your nomination and the reason why you chose it in the comments. Nominations can be as large or small of a landmass as you like — from your favorite diner to a news-making country to an entire planet. London, for example, has had a lot to celebrate this year between the Queen’s Jubilee and a breathtaking Olympics. Shall we let London celebrate a POTY victory as well? Or, take a look at Mars: it might not be part of Earth, but NASA’s Curiosity Rover has shared its discoveries with the world and made space a little less alien. Maybe you’re drawn to the sites of revolution in Syria, or to the Calabasas, California base of the Kardashians. Whatever your flavor, we want to hear from you! Your votes and nominations will help drive the shortlist announcement on November 12th. And after another round of voting from you the public and further consultation with OUP’s panel of geographers and experts, we’ll announce the winners on December 3rd. Until then, check back here weekly for more insights into geography and Place of the Year 2012. Happy voting, geographers! Oxford’s Atlas of the World — the only world atlas updated annually, guaranteeing that users will find the most current geographic information — is the most authoritative resource on the market. The Nineteenth Edition includes new census information, dozens of city maps, gorgeous satellite images of Earth, and a geographical glossary, once again offering exceptional value at a reasonable price. 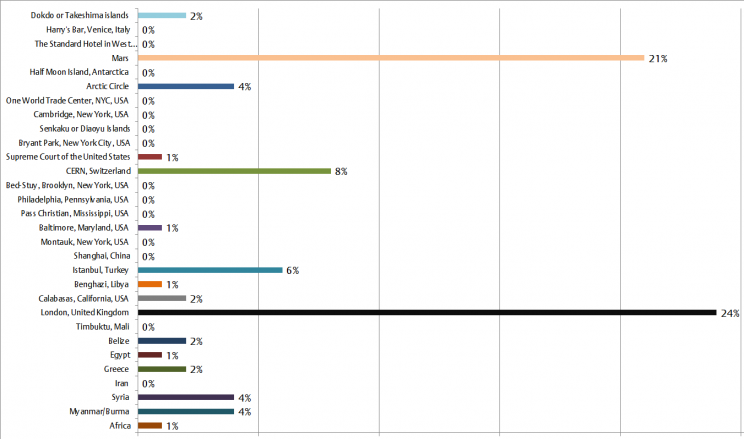 Pardon me, how can Mars be almost as popular as London? Has anyone ever gone to Mars?